California has 22 million licensed drivers. Distractions are bound to happen. According to the National Highway Transportation and Safety Administration, distracted driving caused 3,450 deaths in 2016. Don’t become a statistic. It’s cliché but it is better to arrive alive than to not arrive at all. Distracted driving is simply any activity that distracts a driver of a vehicle. This can be anything from the all too prevalent texting, changing the song, eating, or doing makeup. Without a doubt, using a phone while driving is the most frequent activity that causes distracted driving. And the age group that is most likely to use their phone while driving is also the most inexperienced at driving: teenagers. 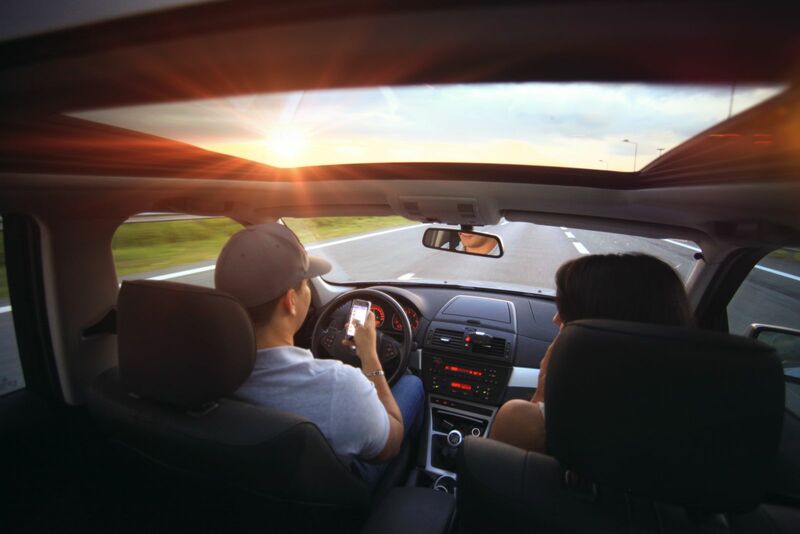 Despite many states passing laws that prohibit the use of mobile phones while behind the wheel, people still participate in this truly deadly activity. Though the use of mobile phones while driving is prohibited in many places, many people ignore those laws. If the urge to reply to a text or shoot off a work email is so great and can’t wait until you’ve reached your destination, drivers are being encouraged to hand their phones off to a passenger who can send the message on their behalf. As a passenger, you can help prevent accidents. All you have to do is speak up. By offering to help send a message, not only can you help in preventing accidents, you can also help keep the driver from receiving a ticket for using their phone while driving. If an accident does happen due to distracted driving, contact the Southern California personal injury attorneys at Steinberg Injury Lawyers. With California’s distracted driver laws, it can be difficult to determine when another driver may have been breaking the law and caused an accident. At Steinberg Injury Lawyers, our seasoned attorneys have extensive experience handling distracted driver cases just like yours. Contact us today by calling 800-989-6385 for a free, no obligation evaluation of your case to see how we can help.